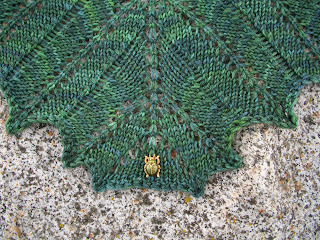 I am delighted to present a shawl I improvised myself from the beautiful Bitter Bug colour Bamboo and Merino sock yarn from Old Maiden Aunt which I got in the yarn preview club which ran last winter to give a taster of the different shades and sock-yarn bases available for this year's collection. I knew this yarn could make a lovely shawl after having used it last year for a well-loved project . 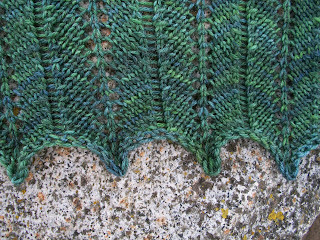 I like it even more than the yarn I used last year because the colour is even more up-my-street, I adore this type of green and the variation in the hand-painted yarn gives it a multi-faceted look. 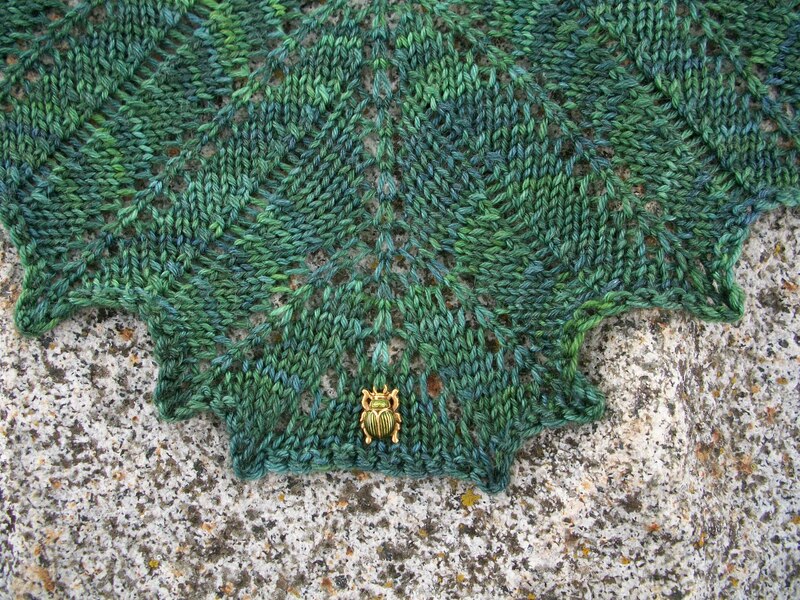 The little "Bitter Bug" was a charm which came as one of the extra goodies with the yarn preview club. I used him as a stitch marker while I was making the shawl and he looked so good with it I had to incorporate him into the shawl itself. This project means a lot to me because it marks a bit of a renaissance of my interest in things crafty and after a rough few months it marks the first times in ages I've felt inspired and enthusiastic about *anything*, hence the name "Green Shoots". 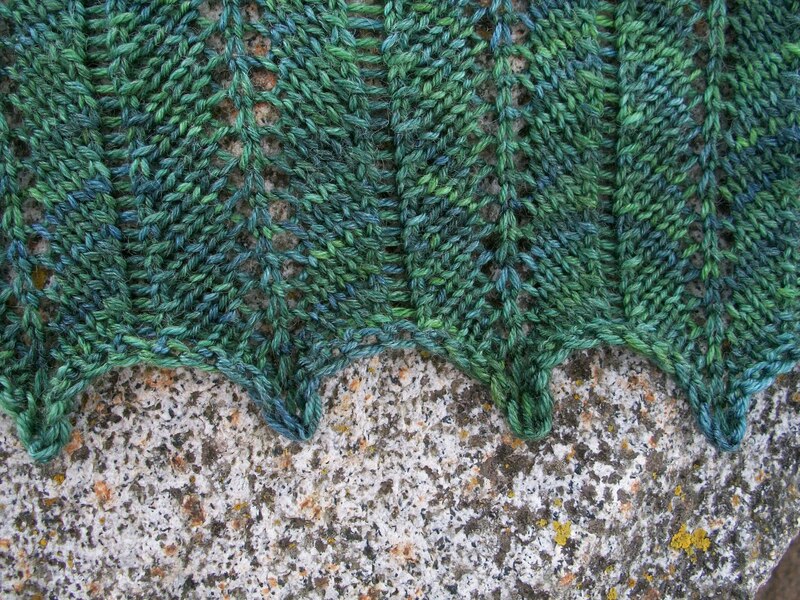 It starts with stocking stitch then moves into a chevron stitch and was a delight to work with, in this top-notch yarn. 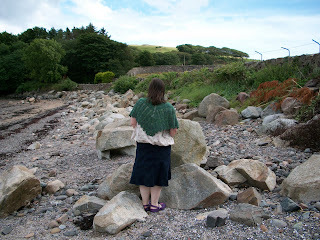 I'll be working with this yarn again, no doubt, and may have another go at this "pattern" too. 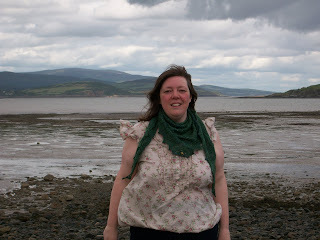 the last pic truly shows the coloures of the yarn! 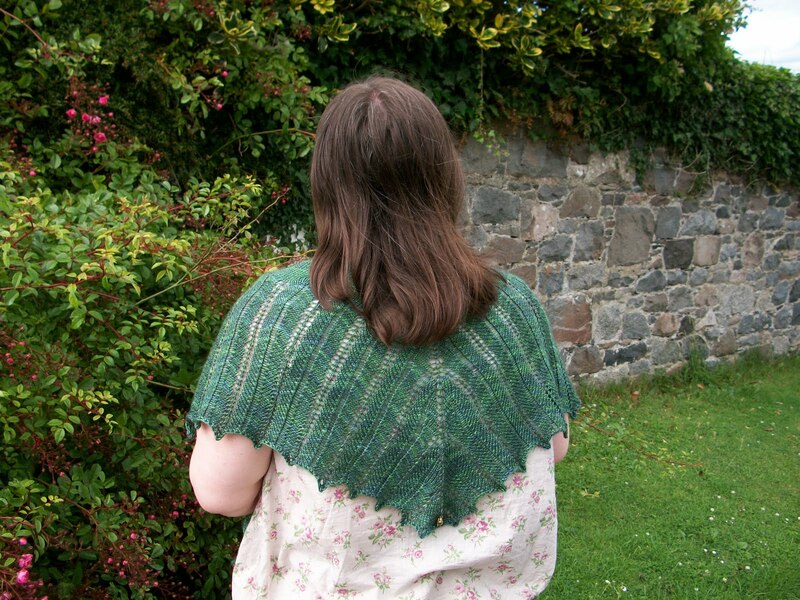 Love your improvisation of this shawl! Just .. a big big hug and a <3. It's beautiful! The pattern goes really well with that yarn.